WASHINGTON, DC -- On March 24 last year, I was in my Toronto kitchen preparing school lunches for my kids when I learned from my Twitter feed that I had been put on the Kremlin’s list of Westerners who were banned from Russia. Russia's President Vladimir Putin watches a Victory Day parade at Red Square in Moscow on May 9, 2015. The Russian president desperately needs to show that an independent, democratic, rule-of-law Ukraine can’t work, the author writes. This was part of Russia’s retaliation for the sanctions the United States and its allies had slapped on Vladimir Putin’s associates after his military intervention in Ukraine. Four days earlier, nine people from the U.S. had been similarly blacklisted, including John Boehner, the speaker of the House of Representatives, Harry Reid, then the majority leader of the Senate, and three other senators: John McCain, a long-time critic of Putin, Mary Landrieu of Louisiana and Dan Coats of Indiana, a former U.S. ambassador to Germany. I, however, was genuinely sad. I think of myself as a Russophile. I speak the language and studied the nation’s literature and history in college. I loved living in Moscow in the mid-1990s as bureau chief for the Financial Times and have made a point of returning regularly over the subsequent 15 years. I’m also a proud member of the Ukrainian-Canadian community. My maternal grandparents fled western Ukraine after Hitler and Stalin signed their non-aggression pact in 1939. They never dared to go back, but they stayed in close touch with their brothers and sisters and their families, who remained behind. For the rest of my grandparents’ lives, they saw themselves as political exiles with a responsibility to keep alive the idea of an independent Ukraine, which had last existed, briefly, during and after the chaos of the 1917 Russian Revolution. That dream persisted into the next generation, and in some cases the generation after that. My late mother moved back to her parents’ homeland in the 1990s when Ukraine and Russia, along with the 13 other former Soviet republics, became independent states. 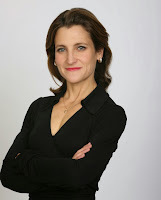 Drawing on her experience as a lawyer in Canada, she served as executive officer of the Ukrainian Legal Foundation, an NGO she helped to found. My mother was born in a refugee camp in Germany before the family immigrated to western Canada. They were able to get visas thanks to my grandfather’s older sister, who had immigrated between the wars. Her generation, and an earlier wave of Ukrainian settlers, had been actively recruited by successive Canadian governments keen to populate the vast prairies of Manitoba, Saskatchewan and Alberta. Today, Canada’s Ukrainian community, which is 1.25 million strong, is significantly larger as a percentage of total population than the one in the United States, which is why it is also a far more significant political force. And that in turn probably accounts for the fact that, while there were no Ukrainian-Americans on the Kremlin’s blacklist, four of the 13 Canadians singled out were of Ukrainian extraction: in addition to myself, my fellow Canadian Member of Parliament James Bezan, Senator Raynell Andreychuk and Paul Grod, who has no national elective role but is head of the Ukrainian Canadian Congress. I made the Russian list of the unwelcome as a three-fer: an activist Ukrainian-Canadian, a politician (I was elected to the Canadian Parliament in 2013 to represent Toronto Centre) and a journalist with a long paper trail that frequently displeased the Kremlin, since I covered Moscow’s brutal war in Chechnya in the 1990s and also wrote a book about the rise of the Russian oligarchs. I interviewed Putin himself in 2000, shortly after he took over as president. When, in 2011, he decided to take the presidency back from his protégé, Dmitry Medvedev, I wrote a column in The New York Times arguing that Putin’s Russia was on its way to becoming a full-fledged dictatorship that would eventually be vulnerable to a popular uprising. Until March of last year, none of this prevented my getting a Russian visa. I was, on several occasions, invited to moderate panels at the St. Petersburg International Economic Forum, the Kremlin’s version of the World Economic Forum in Davos. Then, in 2013, Medvedev agreed to let me interview him in an off-the-record briefing for media leaders at the real Davos annual meeting. That turned out to be the last year when Russia, despite its leadership’s increasingly despotic and xenophobic tendencies, was still, along with the major Western democracies and Japan, a member in good standing of the G-8. Russia in those days was also part of the elite global group Goldman Sachs had dubbed the BRICs—the acronym stands for Brazil, Russia, India and China—the emerging market powerhouses that were expected to drive the world economy forward. Putin was counting on the $50 billion extravaganza of the 2014 Sochi Winter Olympics to further solidify Russia’s position at the high table of the international community. President Viktor Yanukovych’s flight from Ukraine in the face of the Maidan uprising, which took place on the eve of the closing day of those Winter Games, astonished and enraged Putin. 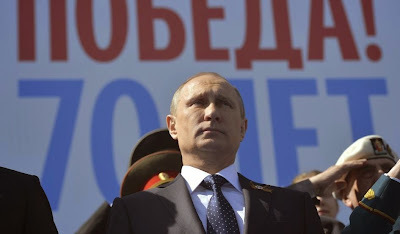 In his pique, as Putin proudly recalled in a March 2015 Russian government television film, he responded by ordering the takeover of Crimea after an all-night meeting. That occurred at dawn on the morning of February 23, 2014, the finale of the Sochi Olympics. The war of aggression, occupation and annexation that followed turned out to be the grim beginning of a new era, and what might be the start of a new cold war, or worse. The crisis that burst into the news a year-and-a-half ago has often been explained as Putin’s exploitation of divisions between the mainly Russian-speaking majority of Ukrainians in the eastern and southern regions of the country, and the mainly Ukrainian-speaking majority in the west and center. Russian is roughly as different from Ukrainian as Spanish is from Italian. While the linguistic factor is real, it is often oversimplified in several respects: Russian-speakers are by no means all pro-Putin or secessionist; Russian- and Ukrainian-speakers are geographically commingled; and virtually everyone in Ukraine has at least a passive understanding of both languages. To make matters more complicated, Russian is the first language of many ethnic Ukrainians, who are 78 percent of the population (but even that category is blurry, because many people in Ukraine have both Ukrainian and Russian roots). President Petro Poroshenko is an example—he always understood Ukrainian, but learned to speak it only in 1996, after being elected to Parliament; and Russian remains the domestic language of the Poroshenko family. The same is true in the home of Arseniy Yatsenyuk, Ukraine’s prime minister. The best literary account of the Maidan uprising to date was written in Russian: Ukraine Diaries, by Andrey Kurkov, the Russian-born, ethnic Russian novelist, who lives in Kiev. In this last respect, my own family is, once again, quite typical. My maternal grandmother, born into a family of Orthodox clerics in central Ukraine, grew up speaking Russian and Ukrainian. Ukrainian was the main language of the family refuge she eventually found in Canada, but she and my grandfather spoke Ukrainian and Russian as well as Polish interchangeably and with equal fluency. When they told stories, it was natural for them to quote each character in his or her original language. I do the same thing today with Ukrainian and English, my mother having raised me to speak both languages, as I in turn have done with my three children. For individual Ukrainians, though less often for the country as whole, this linguistic kinship has sometimes been an advantage. Nikolai Gogol, known to Ukrainians as Mykola Hohol, was the son of a prosperous Ukrainian gentleman farmer. His first works were in Ukrainian, and he often wrote about Ukraine. But he entered the international literary canon as a Russian writer, a feat he is unlikely to have accomplished had Dead Souls been written in his native language. Many ethnic Ukrainians were likewise successful in the Soviet nomenklatura, where these so-called younger brothers of the ruling Russians had a trusted and privileged place, comparable to the role of Scots in the British Empire. But familiarity can also breed contempt. Russia’s perceived kinship with Ukrainians often slipped into an attempt to eradicate them. These have ranged from Tsar Alexander II’s 1876 “Ems Ukaz,” which banned the use of Ukrainian in print, on the stage or in public lectures and the 1863 Valuev ukaz that asserted that “the Ukrainian language has never existed, does not exist, and cannot exist,” to Stalin’s genocidal famine in the 1930s. In short, being a Russian-speaker in Ukraine does not automatically imply a yearning for subordination to the Kremlin any more than speaking English in Ireland or Scotland means support for a political union with England. That said, it’s true that people on both sides of the political divide have tried to declare their allegiances through the vehicle of language. Immediately after the overthrow and self-exile of Yanukovych, radical nationalists in Parliament passed a law making Ukrainian the sole national language—a self-destructive political gesture and a gratuitous insult to a large body of the population. However, the contentious language bill was never signed into law by the acting president. Many civic-minded citizens also resisted such polarizing moves. As though to make amends for Parliament’s action, within 72 hours the people of Lviv, the capital of the Ukrainian-speaking west, held a Russian-speaking day, in which the whole city made a symbolic point of shifting to the country’s other language. Less than two weeks after the language measure was enacted it was rescinded, though not before Putin had the chance to make considerable hay out of it. The blurring of linguistic and ethnic identities reflects the geographic and historic ties between Ukraine and Russia. But that affinity has also bred, among many in Russia, a deep-seated antipathy to the very idea of a truly independent and sovereign Ukrainian state. Russians see Ukraine as the cradle of their civilization. Even the name came from there: the vast empire of the tsars evolved from Kievan Rus, a loose federation of Slavic tribes in the Middle Ages. The ties that bind are also contemporary and personal. Two Soviet leaders—Nikita Khrushchev and Leonid Brezhnev—not only spent their early years in Ukraine but spoke Russian with a distinct Ukrainian accent. This historic connectedness is one reason why their post-Soviet successor, Vladimir Putin, has been able to build such wide popular support in Russia for championing—and, as he is now trying to do, recreating—“Novorossiya” (New Russia) in Ukraine. In selling his revanchist policy to the Russian public, Putin has depicted Ukrainians who cherish their independence and want to join Europe and embrace the Western democratic values it represents as, at best, pawns and dupes of NATO—or, at worst, neo-Nazis. As a result, many Russians have themselves been duped into viewing Washington, London and Berlin as puppet-masters attempting to destroy Russia. This subterfuge is, arguably, Putin’s single most dramatic resort to the Soviet tactic of the Big Lie. Through his virtual monopoly of the Russian media, Putin has airbrushed away the truth of what happened a quarter of a century ago: the dissolution of the USSR was the result not of Western manipulation but of the failings of the Soviet state, combined with the initiatives of Soviet reformist leaders who had widespread backing from their citizens. Moreover, far from conspiring to tear the USSR apart, Western leaders in the late 1980s and early 1990s used their influence to try to keep it together. It all started with Mikhail Gorbachev, who, when he came to power in 1985, was determined to revitalize a sclerotic economy and political system with “perestroika” (literally, rebuilding), “glasnost” (openness) and a degree of democratization. These policies, Gorbachev believed, would save the USSR. Instead, they triggered a chain reaction that led to its collapse. By softening the mailed-fist style of governing that traditionally accrued to his job, Gorbachev empowered other reformers—notably his protégé-turned-rival Boris Yeltsin—who wanted not to rebuild the USSR but to dismantle it. Their actions radiated from Moscow to the capitals of the other Soviet republics—most dramatically Kiev. Ukrainian democratic reformers and dissidents seized the chance to advance their own agenda—political liberalization and Ukrainian statehood—so that their country could be free forever from the dictates of the Kremlin. However, they were also pragmatists. In exchange for the Communists’ support for independence, the democratic opposition would postpone its demands for political and economic reform. By 1991, the centrifugal forces in the Soviet Union were coming to a head. Putin, in his rewrite of history, would have the world believe that the United States was cheering and covertly supporting secessionism. On the contrary, President George H.W. Bush was concerned that the breakup of the Soviet Union would be dangerously destabilizing. He had put his chips on Gorbachev and reform Communism and was skeptical about Yeltsin. I was living in Kiev at the time, working as a stringer for the Financial Times, The Economist and The Washington Post. Listening to Bush in the parliamentary press gallery, I felt he had misread the growing consensus in Ukraine. That became even clearer immediately afterward when I interviewed Ukrainian MPs, all of whom expressed outrage and scorn at Bush for, as they saw it, taking Gorbachev’s side. The address, which New York Times columnist William Safire memorably dubbed the “Chicken Kiev speech,” backfired in the United States as well, antagonizing Americans of Ukrainian descent and other East European diasporas, which may have hurt Bush’s chances of re-election, costing him support in several key states. But Bush was no apologist for Communism. His speech was heavily influenced by Condoleezza Rice, not a notable soft touch, and it echoed the United Kingdom’s Iron Lady, Margaret Thatcher, who, a year earlier, had said she could no more imagine opening a British embassy in Kiev than in San Francisco. The magnitude of the West’s miscalculation, and Gorbachev’s, became clear less than a month later. On August 19, a feckless attempt by Russian hardliners to overthrow Gorbachev triggered a stampede to the exits by the non-Russian republics, especially in the Baltic States and Ukraine. On August 24, in Kiev, the MPs Bush had lectured three weeks earlier voted for independence. Three months after that, I sat in my Kiev studio apartment—on a cobblestone street where the Russian-language writer Mikhail Bulgakov once lived—listening to Gorbachev’s televised plea to the Ukrainian people not to secede. He invoked his maternal grandmother who (like mine) was Ukrainian; he rhapsodized about his happy childhood in the Kuban in southern Russia, where the local dialect is closer to Ukrainian than to Russian. He quoted—in passable Ukrainian—a verse from Taras Shevchenko, a serf freed in the 19th century who became Ukraine’s national poet. Gorbachev was fighting back tears as he spoke. That was November 30, 1991. The next day, 92 percent of Ukrainians who participated in a national referendum voted for independence. A majority in every region of the country including Crimea (where 56 percent voted to separate) supported breaking away. Two weeks later, Ukraine’s President Leonid Kravchuk met Yeltsin, who by then was the elected president of the Russian Federation. The two of them, along with the president of Belarus, signed an accord that formally dissolved the Soviet Union. Gorbachev, who’d set in motion a process that he could not control, had lost his job and his country. Down came the red stars on the spires, up went the Russian tricolor in place of the hammer-and-sickle. Yeltsin took his place in the Kremlin office and residence that Putin occupies today. Therein lies a stunning double irony. First, Yeltsin—who plucked Putin from obscurity and hand-picked him as his successor—would not have been able to engineer Russia’s own emergence as an independent state had it not been for Ukraine’s eagerness to break free as well. Having broken up the Soviet Union, Moscow and Kiev both faced three immediate, vast and novel challenges: how to establish genuine statehood and independence for their brand new countries; create efficacious democracies with checks and balances and rule of law; and make the transition from the Communist command economy to capitalism. Accomplishing all three tasks at once was essential, but it proved impossible. 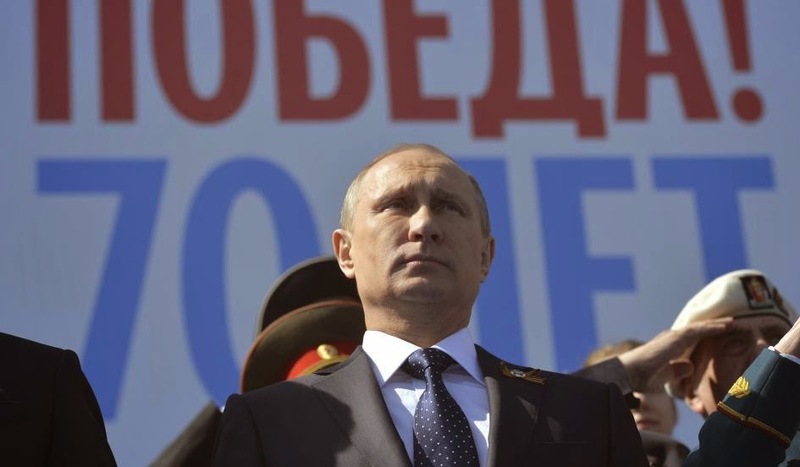 As a result, like Tolstoy’s unhappy families, Russia and Ukraine each failed in its own way. Post-Soviet Russia’s wrong turn came in the form of the Faustian bargain its first group of leaders—the Yeltsin team of economists known as the young reformers—was willing to strike in order to achieve their overriding priority: wrenching Russia from central planning to a market economy. They accomplished a lot, laying the foundations for Russia’s economic rebound in the new millennium. But along the way they struck deals, most stunningly the vast handover of state assets to the oligarchs in exchange for their political support, which eventually transformed Russia into a kleptocracy and discredited the very idea of democracy with the Russian people. Ukraine’s path to failure started with the 1991 compromise between democratic reformers and the Ukrainian Communist establishment. That tactical alliance proved to be both brilliant and doomed. Its value was immediate—Ukraine became, as long as Russia acquiesced, a sovereign state. The cost was revealed only gradually, but it was staggeringly high. Like Russia’s Yeltsin, a former candidate-member of the Politburo, Ukraine’s new leadership was made up overwhelmingly of relics of the Soviet-era leadership: Leonid Kravchuk, Ukraine’s first president, had been the ideology secretary of the Communist Party in the Ukrainian Soviet Socialist Republic; his successor, Leonid Kuchma, had been the director of a mega-factory in Dnipropetrovsk that built the SS-18 missiles, the 10-warhead behemoth of the Soviet Strategic Rocket Forces. Once the superpower they had thrived in disappeared, these men, and most of those around them, adopted Ukrainian patriotism, soon proving themselves to be enthusiastic, determined and wily advocates of Ukrainian independence. Their conversion was intensely opportunistic—it allowed them to preserve, and even enhance, their political power and offered the added perk of huge personal wealth. But because many of the leaders of post-Soviet Ukraine had a genuine emotional connection to their country, they also took pride in building Ukrainian sovereignty, which put them at odds with some of their former colleagues in Russia, including, they would eventually discover, Vladimir Putin. Unfortunately, their commitment to statehood was not matched by any coherent vision of economic reform, and they followed the usual post-Soviet project of enriching themselves and their comrades. The result, in addition to massive corruption, was gross mismanagement of the economy. Russia’s economic performance in the two decades following the collapse of communism was mixed at best; Ukraine’s was absolutely dire. But when it came to democracy, the tables were reversed. Even though the pact between Ukrainian reformers and the Communist Party left the nomenklatura, as the Soviet leadership class was known, essentially intact, it turned out to be remarkably—and mercifully—inept at authoritarian governance. The Ukrainian Communist Party and the KGB, with their formal ties to Moscow severed, were unprepared to act effectively on their own. Instead of closing ranks to rule the country, the power elites broke into competing clans associated with the major cities and regions. The result was a newborn country that was accidentally pluralistic, allowing democracy to spring up through the cracks in the regime’s control. Proof of that came in 1994 when Kravchuk lost his reelection campaign. The very fact that he could be voted out of office was an early but important milestone for a fledgling democracy. It is one that Russia, with its more deeply rooted absolutist political system, has yet to reach. That said, what followed was not exactly encouraging. Kravchuk’s successor, Leonid Kuchma, began to turn back the clock, harassing the opposition and the media. After serving the constitutionally maximum two five-year terms, Kuchma was able to rig the 2004 election in favor of his dauphin, Viktor Yanukovych, who was prime minister. But Kuchma and Yanukovych overestimated their power to manipulate the electorate—and they underestimated civil society. In what became known as the Orange Revolution, Ukrainians camped out in the Maidan—the central square in Kiev—and demanded a new election. Then came a truly tragic irony. Yanukovych’s opponent and polar opposite was Viktor Yushchenko, a highly respected economist and former head of the central bank. He was the champion of Ukrainian democracy. Largely for that reason, he was hated and feared by many in Russia, notably in Putin’s inner circle. Yushchenko was poisoned on the eve of the ballot. The attempt on his life left him seriously ill and permanently scarred, yet he triumphed in the election. However, Yushchenko then did such a poor job in office that Yanukovych, who had failed to become president by cheating in 2004, ended up being elected fair and square in 2010. Over the next four years of Yanukovych’s rule, the Ukrainian state became more corrupt and abusive of political rights than it had been even in the last years of Kuchma’s presidency. Nonetheless, the legacy of the 1991 compromise between the democrats and the apparatchiks lived on through the success of at least two of its main goals: peace and survival. When, two years ago, Ukraine celebrated its 22nd anniversary as an independent state, the longest period in modern history, it had—for all its troubles—at least avoided violent separatism within its own borders, not to mention a war with Russia. Then, in November of that year, came the first tremors of the cataclysm. According to Putin’s propaganda, the original fault line was within Ukraine, in the form of ethnic tension, and only later did the conflict take on a geopolitical dimension and disrupt relations with Russia. A more objective and accurate version is that the unremitting and escalating crisis of the last year-and-a-half erupted in two stages: first, when Yanukovych reneged on a promised trade deal with Europe, part of a general turning away from the West, which set off a massive demonstration of people power; and then when, with Moscow’s support, he unleashed bloody force on the demonstrators. But that drama has its own origin in 1991. Back then, the leaders and many of the people of Ukraine and Russia shared the dream of joining the political West, a choice that was about much more than geopolitics—it meant choosing the rule of law, democracy and individual rights over authoritarian kleptocracy. Now Russia, at least as represented by the most powerful Kremlin leader since Stalin, has turned its back on that dream, while Ukraine’s leader, with the backing of most of his people, is determined to keep it alive. Sitting on my uncle Bohdan’s couch in central Kiev, 10 days after Viktor Yanukovych’s flight from Ukraine, I began to grasp what was at stake. Bohdan is my mother’s brother, an agronomist who was born in and grew up in Canada, but moved to Kiev during the 1990s, around the same time my mother did. He married a bilingual Ukrainian and, after two decades living there, is comfortable in both Ukrainian and Russian. When I arrived at Bohdan’s high-ceilinged, post-war apartment on March 4, 2014, he and his wife, Tanya, like so many Kievites, were glued to their television and its coverage of the political tumult that followed Yanukovych’s ouster. The previous three-and-a-half months had been an emotional whipsaw. In the past two weeks alone, the citizens of the capital had suffered the bloodiest conflict on their streets since World War II. They had also watched their reviled president, Yanukovych, flee to Russia, a provisional government take charge, Russian troops assert control over part of their country and Putin insist on his right to take further military action. Ukrainians were simultaneously celebrating their eviction of Yanukovych, mourning the victims of the slaughter on the Maidan, horrified by the invasion of Crimea and fearful of the possibility of a long, grinding war fanned and often directly waged by their giant neighbor to the north. During my evenings on my uncle’s couch, I watched a number of extraordinarily dramatic events playing out on the TV screen, including many profiles in heroism. Some dramatized the complexity of the ethnic and linguistic issue that Putin was exploiting to his own cynical advantage. In those first days of March, for example, Maksym Emelyanenko, captain of the corvette Ternopil in the Ukrainian navy, was ordered by the commander of the Russian Black Sea Fleet to hand over control of his vessel. The surprised Russian vice-admiral asked the Ukrainian seaman what he meant. Captain Emelyanenko replied that, although he was ethnically Russian (his Ukrainian last name notwithstanding), he had given his oath of loyalty to the Ukrainian state and he would not betray it. My aunt Tanya, who’d grown up in Ukraine, recalled that the slogan “Russians do not surrender” (“Russkiye ne sdayutsa”) was a famous battle cry of the Red Army during the Second World War, in which Ukraine bore the second most Soviet casualties in absolute numbers and suffered an even greater loss than Russia in proportional terms. She found Captain Emelyanenko’s valor to be both poignant and a stinging rebuke to the Kremlin leader who was now unleashing war on the Soviet fatherland’s own children. My uncle and aunt, along with many Ukrainians, hoped that passive resistance would prevail as it had in the Maidan demonstrators’ stand-off with Yanukovych. But, as the covert occupation of Crimea, ordered by Putin and spearheaded by “little green men”—as the Russian soldiers without insignia who took over the peninsula were called—inched toward outright annexation, it quickly became apparent that peaceful tactics would not succeed against the near-term objectives of Putin. That said, I could sense, even in those early days, that Putin’s use of overwhelming Russian force to crush Ukrainian resistance was backfiring against his ultimate goal, which was to bring Ukraine back under Russian sway. The day after I arrived in Kiev I met Yegor Sobolev, a 37-year-old activist, over cappuccinos at a cafe on the Khreshchatyk, Kiev’s central boulevard. An ethnic Russian who was born and raised in Russia, Sobolev was one of a group of young, politically engaged Ukrainians who were the backbone of the Maidan movement starting back in November 2013. He was a confidant of Mustafa Nayyem, a Muslim refugee from Afghanistan who was celebrated for launching the protests through a Facebook call to action. Sobolev and Nayyem are both former journalists who had tried to uncover the skullduggery and looting of the Yanukovych regime, and then had been motivated to political action by their revulsion at Yanukovych’s brutality. “For many years, a big social problem was the passivity of people in the building of the nation,” Sobolev told me. I heard similar sentiments wherever I went in Kiev that week. The capital was, almost literally, grievously wounded. The air was thick with smoke from bonfires, reeking with the stench of burning tires. The once-elegant Khreshchatyk was a grimy tent city, the avenue itself denuded of its cobblestones because protesters had pulled them up to throw at the armored special forces who were firing tear gas and live bullets at them. A steady stream of Kievites, many of them stylish matrons in long fur coats and high-heeled leather boots, made their way to Institytska, the steep street leading up from the Maidan. Their mission was to lay bouquets on the two-story-high mountain of flowers in tribute to the victims of police and snipers, known as the Heavenly Hundred (it sounds less mawkish in Ukrainian). But Kiev also felt invigorated and united. The city was experiencing the kind of we’re-all-in-this-together feeling familiar to anyone who lived through the London Blitz, or 9/11, or other times of national crisis and tragedy. “Yanukovych freed Ukraine, and Putin is uniting it,” Sobolev told me. I found myself harking back to 1991, when Ukrainian democrats I interviewed felt they had to choose between democracy and sovereignty. Now, in the wake of the Maidan and in the midst of the Russian land grab, Ukrainians had come to see that both are critical and that they are mutually reinforcing. By early March of last year, as it became glaringly obvious that Ukraine was fighting not just for its political soul but for national survival, support for the agenda of the pro-Maidan provisional government and the sense of solidarity under pressure started to flow south and east—into the very regions that both Putin and simplistic international media coverage had characterized as pro-Russian. A comprehensive poll done in April by the Kiev International Institute of Sociology, one of the country’s most respected polling firms, found, for instance, that in those regions of Ukraine 76.8 percent of respondents opposed the seizure of government buildings by separatist protesters; only 11.7 percent supported it. Nearly 70 percent were opposed to the unification of their region of Ukraine with Russia; only 15.4 percent were in favor. An overwhelming 87.7 percent said that Ukraine should make its own decisions about internal affairs, such as constitutional structure and official language, without any involvement from outside powers, specifically Russia. It is worth underscoring that these strong views are the opinions of the lands Putin has claimed as “Novorossiya,” the largely Russian-speaking southern and eastern regions of Ukraine. “People in Odessa, Mykolaev, Donetsk, and Dnipropetrovsk [all cities with large Russian-speaking populations] are coming out to defend their country,” Sobolev said. Western Ukraine, known as Galicia, had long seen itself as the most nationally conscious region, the one that would lead a broader effort to knit the nation together and build a sovereign state. Culturally, historically, linguistically and even religiously, southern and eastern Ukraine were quite different, and did not always appreciate the Galician assumption that the western Ukrainian version of Ukraine was the best and truest one. One of the paradoxical consequences of the Russian invasion was that southern and eastern Ukraine were proudly asserting their versions of Ukrainian identity as equally authentic and powerful. Four days after I arrived in Kiev, Serhiy Zhadan, described by The New Yorker as Ukraine’s “best-known poet” and “most famous counter-culture writer,” was beaten by pro-Russian agitators at a Maidan demonstration. But that protest didn’t take place in Kiev’s Maidan. It happened 500 kilometers (311 miles) east in Kharkiv, the capital of eastern Ukraine where Zhadan, who was born in the Donbass, now lives and works. His writing—think Irving Welsh’s Trainspotting set against a grim post-Soviet backdrop—is very popular in Russia, but he writes in Ukrainian, partly, he says, as a political act. Before I left Kiev in March, I took a final walk along the Khreshchatyk. Two hand-written signs, taped to the walls of buildings, stood out. “Russian people, we love you,” one said, in Russian. “Putin, Ukraine will be your grave,” another, written in Ukrainian, warned. Blue and yellow versus the “little green men” I saw the transformation Sobolev had told me about first-hand 10 weeks later, when I returned to Ukraine for the presidential election. I spent a day in Dnipropetrovsk, a city just 150 miles from the Russian border, whose citizens are largely Russian-speaking and whose industry was vital to the Soviet Union (to wit: those SS-18 missiles Kuchma built for a living). Leonid Brezhnev was born and educated there, and it remained his lifelong political powerbase. But on election day, Dnipropetrovsk was wreathed in symbols of Ukrainian statehood. Apartment buildings were draped in blue and yellow, the colors of the national flag; every second car sported the same colors; many election officials wore shirts worked with traditional Ukrainian embroidery. Dnipropetrovsk had resisted the little green men—the governor had offered a $10,000 bounty for any captured Russian soldier—and was scornful of the “Soviet” mentality of neighboring Donetsk, which was suffering from a so-called hybrid war (waged by Russian-backed locals armed with Russian equipment and artillery and supported by undercover Russian officers, advisers and soldiers who were, according to the Russian government, “volunteering while on holiday”). This political shift provoked another twist of Ukraine’s linguistic kaleidoscope. Now that civil society’s common enemy was Yanukovych and the Kremlin political values he represented, speaking Ukrainian in public came to symbolize the fight for democracy, notably including in the east. For his part, Sobolev told me he had overcome his “psychological barrier” to speaking Ukrainian by reading For Whom the Bell Tolls in Ukrainian translation out loud to himself. The threat and the promise of Ukrainian democracy Ukrainians today are proud of the democratic episodes in their country’s history, and in Kiev you are likely to hear the country described as culturally inclined toward democracy. It is an entirely good thing that Ukraine’s new leaders are defining their national identity as inherently democratic and freedom-loving. But there have been times when Russia might have laid claim to such an identity, too. A quarter century later, no one would make that assertion in Moscow. But it is the sort of thing said every day in Kiev. And that is why Putin is determined to subdue Ukraine. He doesn’t need Ukraine for economic gain—indeed, his aggression has come at a great, and mounting, economic cost. He doesn’t need Ukraine for strategic reasons—Putin today is master of Crimea, but Russia is more isolated, less respected and surrounded by more suspicious neighbors than was the proud host of the Sochi Olympics just a year ago. He doesn’t even need the immediate popularity bump leaders always get at the beginning of a foreign war, especially one promised to be short and victorious. What he does need is to show that a democratic, rule-of-law Ukraine can’t work. Leonid Bershidsky, a distinguished Russian journalist who was so appalled by what happened in his country in 2014 that he left, thinks that for Putin, February 22, 2014 was the tipping point. That was the day the police melted away from Mezhyhirya, Yanukovych’s grotesquely palatial estate outside Kiev, and the public flooded in. They discovered a lavish complex including grand, manicured parks, a zoo and a restaurant shaped like a pirate ship. Inside the main residence, a solid gold loaf of rye bread—a tribute to Yanukovych from a petitioner—was found. That absurd sculpture quickly became the symbol of Yanukovych’s criminal excess. That was the moment, Bershidsky believes, when Putin “submitted to paranoia” and decided it was essential to crush the new Ukraine. After all, he and his cronies have palaces, too. There were many bloodier and more dramatic episodes over the past year. But the opening of the gates of Mezhyhirya gets to the essence of what is at stake. The uprising in Ukraine and the fight between Ukraine and Russia is about many things—Ukraine’s consolidation as a nation, a wounded Russia’s rising nationalism, the uncertainty of a world in which the Cold War is over—but we haven’t quite figured out what will replace it. At its heart, however, the conflicts within Ukraine, and the fight Putin has picked with Ukraine, are about post-Soviet kleptocracy, and where and whether there is a popular will to resist it. Last September, I drove out to Mezhyhirya. It had become a much-visited public park. The grassy shoulders of the surrounding country roads were crowded with parked cars. A few couples were having their wedding pictures taken beside the ornate fountains. Two entrepreneurs were renting bicycles at the entrance to make it easier to tour the vast grounds. Others were doing a brisk business selling toilet paper and doormats with Yanukovych’s image on them. Even more popular were the ones depicting Putin.